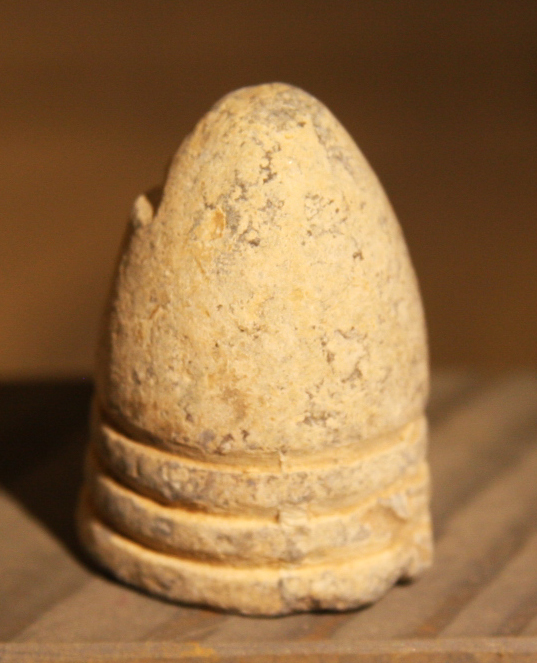 This .69 caliber bullet was recovered in the Culp's Hill area many years ago by a Gettysburg area man. Culp's Hill, although overshadowed today by the battle on the Union left on July 2nd and by Pickett's Charge on July 3rd, saw intense fighting, particularly on the morning of July 3rd. It could easily be argued that the fighting here was, perhaps, the key to the entire battle. A provenance letter will be included.